Hi Dean, It’s Vanessa from Morrison. I’m using a view where staff_id and people_id are included. The people_id belongs to the client. The sub report I’m trying to use is published to a formset that looks at the staff’s people_id. Is there any way to overwrite the join field to get the staff’s people_id and join on that? I’ve tried a few where clauses as well but no luck. Which data source/view are you using? And what are you trying to do exactly? It sounds like you are trying to use a client events view to pull in events for a staff or something like that? Yes, it’s the tests_event_view and currently joins on people_id (which is the client people_id). And yea, my ultimate goal is to have a Formset member that contains sub reports of all events not completed by a staff, publish it in the Agency > Staff & Security > Staff Information area and grant supervisors access to it. 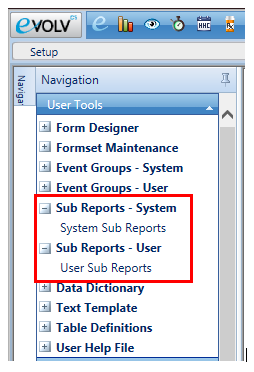 Any time a staff member leaves, they have to pull reports to see what isn’t complete and I’d like to give them (and us ad administrators) an at a glance view of incompletes. I think there might be a better way. Let me mess around with those views. Are you considering not completed to be not signed? Yes, or is_locked = 0, just depends on what is in the view… haven’t gotten that far yet. Ok, here’s the post that explains my solution. Let me know if anything is unclear or you can’t get it working. Ok, I have a solution that should work for you. I will try to post it tonight. Hi Dean. Do you have code for a sub report from physical_characteristics_view that would help me only display entries from 30 days prior to and including the date the parent form is created? My report currently uses actual_date > GetDate() -30 but that is displayed 30 days of entries prior to todays date. So when I view an entry from September 2017 I see February 2018 entries. Thank You! I think I have a solution for that. Let me make sure it will work on the subreport you want to use. Time got away from me today so I was only able to post the method I would use for your problem but this should do it for you. I have one or two other ways to go about “anchoring” sub reports to the parent event which I will post later. Stay tuned and let me know if you get stuck on this one. Hi Dean – It looks you’re already helping someone else this morning, but I’m thinking my question will be a quick answer. You didn’t list this as an explicit limitation, but from what you wrote it sounds like we also can’t create subreports based on specific answers from tests & assessments that we’ve created (since Netsmart didn’t create them), is that correct? Basically, we have a test & assessment (that I created) that gets filled out every 3 months & the program management is asking if each question can list the previous test & assessment’s answer(s). 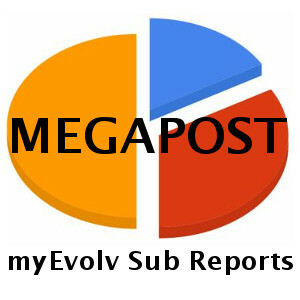 I have not done anything with the test sub reports. That said, it does look like that might be possible to do using the test_details_answers_expanded_view sub reports. The Netsmart sub reports look like they have been based on this view and then somehow tailored to specific types of test questions – multiselects, single answers, etc. My guess is you would need to join both the people_id and the test_details_id to the question so it filters properly. I’ll see if I can find time to play with these and see if I can’t get it working how you are looking to do it. That’s great! That actually worked when I gave the test I wanted to pull from an event code & gave the question I wanted to pull in a question code. Then I joined on just the people_id & then I input “event_code = ‘Myeventcode’ and question_code = ‘Myquestioncode’ into the SQL Code box. Thanks for your help Dean, that was perfect! Hoping you can help with a sub report code I am trying to execute for my current treatment plan goals and objectives. this sql works and shows me active goals and objectives but I need to add some program security. Can I write something that shows the programs that the staff is enrolled in or just their own goals and objectives? Right now it shows all programs regardless of their security. I think something could be possible here but I need some more information. Is this subreport on a service form where the Program Providing Service will default in on the form? If so, you could probably limit the subreport to only show the goals from the program providing service and then the security is already handled at the event level. Hi Dean this blog is very helpful for a person like me with limited java and SQL skills So thanks for sharing ! The form where the sub reports are attached to is a weekly review of services event that is a multiday event using Actual date as 1st date of the week and End date as last date of the week . Each sub report on the review form would ideally pull in the single event notes(several types) or group notes with an Actual date duration but no end date(single day event) >= the review form actual date and <=review form End date. Basically just pulling one week of information. 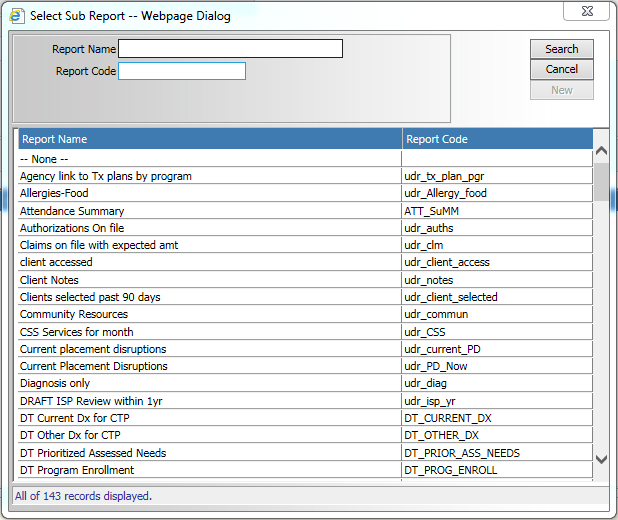 I have a workaround solution right now basically we pull an SQL report and then just add the duration data into a UDF numeric field on the weekly review but it is a cumbersome process. The main barrier with “anchoring” subreports to notes, as I call it, is finding a view that has the fields you want to show on the report and enough date columns to play with but there is often a way to get around those barriers with some SQL as well. When I have created monthly summaries in the past and needed to display the notes for the time span of the summary on that event, I used the event_view, which has some custom columns in it like calendar_week_start that you can use as your join column instead of actual_date. Just add it to the subreport, check Join Field, enter ‘actual_date’ as the Overwrite Form Field to Join and then select the Equal operator. Clear out those last few fields for the actual_date column if they are filled in. That view also has a month_start for monthly time frames, etc. That will anchor it so that the subreport doesn’t change it’s date range relative to the [today’s date]. 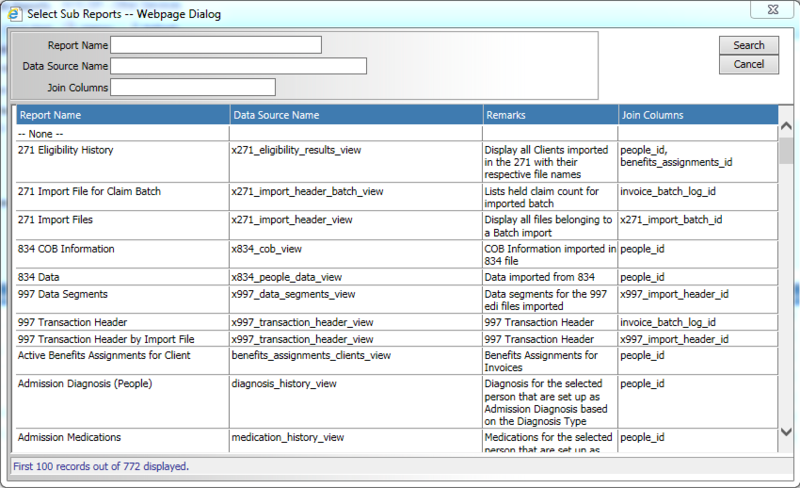 Then you just have to see if the view has all of the other data columns you need to display on the summary. You’ll never see a user_defined field in a subreport and sometimes it’s that one or two columns that are missing from the an otherwise perfect subreport view.